Numerous fairies crossed over the Atlantic, but in America were were far quicker to forget fairy lore with a few notable exceptions (such as Marblehead, Mass and Newfoundland Canada). What is responsible for this sudden amnesia regarding fairy beliefs and ideas? Although there are many psychological and sociological reasons which could be mentioned, for fantasy writers there can be only one explanation. America is home to The Men in Black. These men dressed in black show up repeatedly in connection with fairies in Debuque Ohio, in the 1880s. About the time that fairies had been fleeing Europe (Denmark, Ireland, England, Scotland, Russia, and more) because of trouble with humans in Europe. Within America the fairies would need human witches in order to survive, so gathering these witches would have been the first task of "The Men in Black"
The following quote is from the "Plain Dealer." "Mrs. Hayes followed the girl upstairs, and there, to her amazement, she saw two queer-looking beings resembling men dressed in antiquated black costumes, and with them the girl left the house. Mrs. Hayes followed them to the door and watched them go up the street, when, after going half a block, all three suddenly disappeared in the air, since which nothing has ever been heard of the missing girl"
The following story is a quote from a paper in Iowa. "Three days Miss Kittie staid away from the fairies. On the third day she told her married sister that she had to go again, that the fairies could do without her no longer. The sister followed her upstairs, and according to a Dubuque dispatch, “saw two queer looking beings, resembling men, dressed in antiquated black, and with them the girl left the house.” She saw them go up the street. “After they had gone half a block all three suddenly disappeared in the air. Since which nothing has been heard of the missing girl.” There the story ends, so far as the outside world is given to know." Wearing "antiquated" clothing is common for fairies and the witches who work with them, for the fairies don't like change, to the point that new ideas, tastes, and smells can actually cause them to flee. Witches and fairies both wore pointy hats hundreds of years after these had gone out of style. These men wearing black, however, are simply taking humans with them, which the fairies need to survive. It's not until the 1940s that they start trying to cover up their activities. Harold Dahl spotted some round objects flying in the sky, the next day a man in a black suit took him to a dinner and warned him not to speak of the event. Perhaps more than change, fairies hate it more when people talk about them. One women in Wales who was friends with the fairies mentioned as much, and within a night the fairies had kidnapped her child. Such prohibitions against speaking about the fairies, however, don't seem to have affected the older tales of encounters with them, just ones starting later. Why? There are a lot of sociological explanations for this, but we will again focus on the mythological one. The one that would be useful to fantasy writers. As I've mentioned repeatedly if you follow my blog or read my books, humans have natural magical powers, such that when fairies go to war with each other, if one side has a human on it, that side will win. Humans have the power of iron, the evil eye, symbols, and more which can all break fairy magic. A child who stares at 3 fairies in one story stops them from being able to fly, a blacksmith putting a knife in a fairy door stops hundreds of fairies from being able to close it, and an army of peasants in Ireland very nearly slaughter the fairy king and his court with some salt. The fairies have magic, but so too do the humans. Magic that the fairies must fear, magic that drove many of the fairies from Europe. In lore pixies fled Cornwall, sidhe fled Ireland, Rusalka fled Russia, trolls fled Norway, Trold fled Denmark, all because of the humans. So these fairies that fled their homeland because of humanity likely wanted to be more secretive within their new home. Enter those wearing antiquated black clothes. Fairies who use people's belief in aliens to help cover up their activities. Andy Crowe is a well-known and prosperous farmer, living in Center township, Dubuque county. Some years ago he had a daughter, the sole remaining member of his family living at home. The girl, just approaching womanhood, was afflicted with a strange malady that baffled the skill of physicians. He finally concluded to take the girl to Father Bernard of the New Melleray monastery, who, on account of his well-known piety and self-abnegation, had established quite a reputation far and wide as a restorer to health of persons afflicted with physical or mental diseases. The good father prayed over the girl and prescribed medicines for her cure. On her way home from the monastery the girl told her father that all that was done for her by Father Bernard would not help her in the least and that she would go away in a year from that time to live with the fairies. Her father paid no attention to what the girl said; in fact, he forgot all about it until just a year from that night he woke up in the morning and found his daughter gone. A candle was burning in her room, and all her clothes were left behind except one calico dress. On reporting her disappearance and what the girl had told him, the neighbors became very suspicious, and charged the old man with making away with her. The neighboring creek was dragged for her body, and the woods and fields subjected to a close search, but no trace of the missing girl was found. In just a year from her disappearance she returned home and related a wonderful tale regarding her absence. She said she had been off with the fairies, with whom she had lived in the most splendid style. They had everything that heart could desire, and spent most of their time in traveling incog. over the country. She had traveled with them and rode in the cars, invisible to mortal eyes. They heard of the suspicions attaching to her father on account of her disappearance, and, at their command, she had returned home to clear up the old gentleman. A grand feast was held in honor of her return, which was attended by all the neighbors, to whom she related her wonderful experience. Two days later she came to Dubuque to visit her sister, who is married to a man named James Hayes, a teamster, residing on Thirteenth street. On the third day after coming to Dubuque she came down stairs and informed Mrs. Hayes that she had to go, that two of the fairies had come for her and that they were now upstairs waiting for her. Mrs. Hayes followed the girl upstairs, and there, to her amazement, she saw two queer-looking beings resembling men dressed in antiquated black costumes, and with them the girl left the house. Mrs. Hayes followed them to the door and watched them go up the street, when, after going half a block, all three suddenly disappeared in the air, since which nothing has ever been heard of the missing girl. Such is the story that has been repeatedly told by Andy Crowe, always with tearful eyes and impassioned voice, and most of his neighbors, many of whom are well posted in the legendary tales regarding the fairies in Ireland, implicitly believe the same. It is fairies that Dubuque has got. It doesn’t know exactly what they are, but it has them. Like all other fairies, these fairies are very queer. A year ago they took Miss Kittie Crowe, the pretty daughter of Mr. Andy Crowe, made her invisible, and carried her away with them. She has just returned. She would not have returned at all, she said, only because of her mysterious disappearance the neighbors of her father, with the usual kindness of neighbors, began to account for her strange disappearance by saying he had murdered her. The fairies had heard of this, and so sent Miss Kittie back to save the old gentlemen from the present terrors of neighborhood gossip, and the possible terrors of Judge Lynch. Very fittingly a grand feast was spread in honor of Miss Kittie’s return. All the neighbors came in, just as they always do in the stories about fairies, to welcome Miss Kittie, and to hear her tell of the wonders of her year’s experience in Fairyland. According to her report they don’t do at all in Fairyland as we have thought. They don’t live in the cups of flowers, dance on the sunbeams, play hide and seek in the meshes of milady’s hair, nor sip the honey of the sunshine, nor dance in the coliseum of the lily by moonlight, nor do any of the elfish and gnomish things that all good fairies are popularly supposed to do. Instead, Miss Kittie says, that in her year with them they spent the time traveling incog. over the country, riding in railway cars, invisible to mortal eyes. If this is true, it be very disenchanting, and fairies are no better off than we poor mortals. But Miss Kittie doubtless told the truth. For Dubuque people always do, except when they are talking of Des Moines. Three days Miss Kittie staid away from the fairies. On the third day she told her married sister that she had to go again, that the fairies could do without her no longer. The sister followed her upstairs, and according to a Dubuque dispatch, “saw two queer looking beings, resembling men, dressed in antiquated black, and with them the girl left the house.” She saw them go up the street. “After they had gone half a block all three suddenly disappeared in the air. Since which nothing has been heard of the missing girl.” There the story ends, so far as the outside world is given to know. None of us can compete with these things. We hasten on behalf of Des Moines to throw up the sponge and say at once that we will not even try to compete with Dubuque in this respect. Who would have thought it of Dubuque—the practical, so worldly, and with not a poet to its name since McCreery left it. Since it has gone at things in this way we warn all the cities competing with it for the Soldiers’ Home to look out for it. For if it has all the fairies with it, who can be against it? It has been invincible heretofore. What will it not be now? Ragnarok, the doom foretold to the gods by a human shaman, is a time when the giants, traitor deities, and armies of the unclean dead will invade heaven and earth to destroy everything. The belief in an apocalyptic show down between good and evil, such as Ragnarok, would likely have a profound influence on faeries, deities, and shamans in any fantasy world. Even if your game doesn’t have a prophecy about an end of the world, per say, the idea of a Ragnarok of sorts would be there. Faeries and deities are old enough to have watched mortals invade and conquer the world, watched cities rise and fall, and watched cultures be destroyed. They know all too well that if they let their guard down for a moment, everything they care about can be destroyed. Thus, the threat of Ragnarok on a lesser scale is there. An immortal/magical character would usually work to oppose or aid the forces seeking to destroy what is, because unlike mortals they cannot put this danger out of their mind because they’ve seen it, or know those who’ve seen it, firsthand. The world doesn’t just end in evil and chaos, however. In many mythologies, the world began with dangerous and evil beings that the deities had to defeat. This is why many of the greatest sagas are about deities and shamans. There are a number of sagas about gods fighting the evil in the world; such as Thor journeying through the vast wilderness to defeat the monsters that were threatening to destroy the world, and Takemikazuchi-no-kami, a Japanese Kami who had to fight to bring order to Japan. These are the types of stories that inspired Tolkien to write his fantasy novels and are the root of almost all modern fantasy. Unlike most role-playing game (RPG) based books, this book seeks to accurately use mythology, blending it with the 5e system so that you can play and meet the deities, shamans, and faeries in the way they existed in mythology. Rather than seek to replace your existing campaign and cosmology, which are often very well developed, I seek to add new dimensions to them. This means that certain aspects of any given faerie, deity, or shaman within this book can be altered to fit the rules of existing 5e campaigns. I will strive to be as accurate to the mythology as possible. What’s more, unlike most books, I will provide actual information on the mythology surrounding each aspect of this book, so that you can understand the shamans and fey of myth. Descriptions of heaven were often taken from people’s ideas about Faerie Land and the other worlds. But so were descriptions of Hell. In the shaman Nisan’s journey, she crossed through lands that were like heaven and hell within the same plane. Faerie Land is at once far more beautiful, and more terrifying than anything in the Mortal Worlds. Still, a game in Faerie Land is similar to your current game. Faerie Land was recognizable to the people who entered it. There were different classes of faeries, from peasants to kings and queens. There were villains, wars, farmers, and gossip. The difference is that a game in Faerie Land should evoke a sense of wonder and magic. The players should feel like they are experiencing unseen and mysterious worlds, where nearly anything is possible. Characters should understand that they are stepping from the drab Mortal World into a place of such stunning beauty that people would believe that it was heaven. This book will include a mythological summation of what people believed fairies were, and what they wanted. This book will include faeries that are semi-balanced for play. Obviously, playing something as magical as faeries is going to be a bit different than playing one of the mortal races. This book will include a bestiary of different fairies from mythology. This book will include information on the deities of mythology who went on adventures, and an example template to apply to deities the players encounter or play. This book will include information on playing shamans and cunning folk. This book will provide new character classes and archetypes for you to include in your game. This book will integrate the cosmology of European mythology into the cosmology of most 5e games. 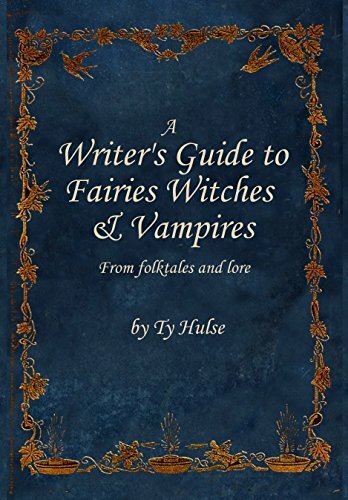 This book will provide numerous new feats and spells connected to faeries and specific myths and lore. This book will include a large section dedicated to world building using actual lore and myth. The English woman clutches her feverish child close as she runs up the side of a hill. Just a few hundred feet from her village is a rock with a hole in it. This rock is home to a hob she hopes will cure her child’s illness. On the far side of Europe, a teenage girl, who is being chased by a vampire, runs into her bathhouse and calls out “Grandfather Bannik, come save me.” At which point the bunnik who took care of her mother while she was being born in the bathhouse, and who has taken care of the girl her entire life, jumps out and tackles the vampire. Perhaps the most important thing you need to understand about fairies is that they were a whole host of different beings that were humanity’s neighbors. They might care about or hate us for a number of reasons, but the most important faeries in stories didn’t live in some distant land, they were all around us. "Put your foot on mine, and then you will have the power of vision, to see clearly." …he saw that the slop thrown out of his house, did actually fall down… the chimney of a house which stood far below, but which he had never seen before. In this story, fairy world is just outside the farmer’s door. He cannot step into it, but he can throw garbage into it. What’s more, the faeries can hear the farmer’s family going about their daily lives, and come to love or hate them as a neighbor would. There is a tale from Brittany France about a margot (female faerie) who lives under a human family’s home, and over time, comes to care about them, even though she doesn’t like most humans. The fact that they lived close to humans is important to the fairy’s motivation. For some fairies wanted to live in a good neighborhood, which meant making the humans they lived near happier, while some wanted to drive them away and sometimes even kill them. The words fey and fairy at their core mean fate, for people once believed that nearly everything, good or bad, happened because the fairies and deities wanted them to happen. They would help inspire artists, cause cows to grow ill or produce lots of milk, change the seasons, and more. The word fairy refers to a whole host of magical beings, which influenced the fate of humanity. It should be clear from this that fairies and deities were not distant beings who ignored humanity, but creatures that lived close at hand. They were our “Good Neighbors,” who in helping and harming people showed that they were interested in us. For a long time, the people of Mari-El were more likely to pray and make offerings to the spirits that lived in the trees near their village; in the lake they got water from, and in their homes, than they were to their highest god. While in Scandinavia, people made sacrifices to the alfar (elves) on the hills where they brought their cattle. Even at the beginning of the 20th century, there were still people in Ireland, France, and throughout Europe who would leave offerings to fairies as if they were little deities. The people who were responsible for communicating with these magical beings went by many names such as cunning but are typically now known as witches. In many myths, humans, fairies and ancient deities are all interrelated beings, such that it is often difficult to tell whether a story is about a human, a fairy, or a deity. There is debate among scholars whether the original Arthur was a deity or a human. In many stories, Arthur was the king of what are obviously Welsh deities, such as Gwyn, who was also king of the fairies, winter, night, and the forest. The Finnish hero Väinämöinen is the grandchild of the primal waters and the sky. He is very much like a deity, yet at the same time he is very much human in character and must do battle with what are very human-like people. Zeus was raised by his aunt, who was a nymph. In some myths, his aunt was also the mother of humans, making us Zeus’s cousins and the children of a fairy/deity figure. The biggest difference between humans and immortals is knowledge and power. Indeed, in many myths, a human who ate the food of the gods became immortal, and the gods who failed to eat this food became mortal. Further, humans could achieve a level of knowledge and power that would make them seem divine. Deities of mythology often lived side-by-side with humans and fairies or at least walked the earth with regularity. These deities weren’t necessarily cosmic powers but needed humans to fight for them, even as they feared humans. In the Yupik, villages I grew up in, I heard tales of Raven, the creator of the world, being driven away by villages of angry people. In Japan, the Mountain Kami, who made the plants grow, and to whom people prayed for success, often asked human hunters to protect them from some horrifying monster. In Irish lore, the humans actually defeated the deities and fairies, driving them underground, while in Greek mythology, people such as Diomedes injured the god Ares. What’s more, Zeus often acted as if he was afraid of humans growing too powerful, which might be why he restricted humanity’s knowledge of things like fire. Also, the spirits of deceased humans could, and often did, become gods in their own right. In mythology, the deities and fairies were protagonists of the great sagas that inspired stories like “Lord of the Rings,” and were beings that even the human characters regularly encountered and had to deal with. This book will discuss how to include and play these powerful characters in your game. Most 5e games already include creatures, which while only barely based on mythology, are considered faeries. These are the fey. Fey aren’t faeries, however. Faeries in mythology were related to both deities and humanity. Some were the ancestors of the deities, some were descended from the deities, and some were deities themselves. Fey in most of the 5e books were created by deities (and presumably the faeries). The fey live within faerie land and are often so close to the faeries that they even join their courts. However, the fey don’t have the ability to manipulate fate the way faeries do. Nor are fey closely related to mortals the way faeries are. Genii (genius singular) are spirits in Roman lore that dwelt in everything and helped with everything. There were genii who helped a baby cry, and there were genii of the house, of locations, and of the cities. The idea that everything had a spirit was an important one to the religion of ancient Rome and ancient Europe in general. According to Jinyu Liu, Genii were, in fact, the most wildly worshipped gods in all the Roman world… All kinds of things, places, people, and institutions had their own genii. People made offerings to the genii. Some were made in private, such as to the genii of the house, but others were publicly worshipped, such as the genius of the Roman people. Many of the beings we consider faeries are a manifestation of Genius Loci – that is spirits of a specific location. Spirits of trees, rocks, hills, fields, or a simple piece of land could all sometimes be considered faeries. So, what is the difference between a faerie and a spirit? I would argue that the difference is primarily in physical manifestation and their involvement with humanity. While Rome depicted many spirits as being serpents, people, or other animals, most didn’t manifest to interact with people. Faeries are faeries because they have a physical form, which interacts with mortals. This means some spirits, such as nymphs or dryads, are also faeries. But not all faeries are genii, for while some faeries such as Elph, pixies, or Sidhe might have a genius within them, they aren’t spirits. The Romans certainly believed that spirits which they called genii (plural of genius) inhabited everything; from things like doorways and families to powerful things like volcanoes and seas. These genii had divine power, which could be called upon for help. Even deities had their genii, and some genii were deities. A person’s genius, wasn’t exactly like their soul. People made offerings to and celebrated their own genius, especially on their birthdays. What ’s more, the people didn’t worship the Emperor, who was just a man, but they would pray to and make offerings to the Emperor’s genius and the Numen (a sort of spirit power) that dwelt within the Emperor. There seems to be very little difference in Celtic and German lore between the spirit of a tree and the spirit of a person. For the spirits of the dead in these places could enter rocks, trees, and lakes. Cinderella’s Fairy Godmother, in the German and Russian version of the tale, was actually her mother’s spirit living inside a tree. The spirit of her mother likely manifested itself, not only as the tree giving gifts but also as the bird, which pecked out the eyes of the Wicked Stepmother. Having so many genii or spirits becomes problematic within the game. After all, an infinite number of mini-deities protecting people and essentially spying on people should make it impossible for evil to happen. Most genii, however, are formless beings who do a single minor task for those who respect them, but for the most part, they stay out of the business of mortals, and even each other. This means that one cannot simply ask genii to tell them what someone has been up to without a powerful magical spell. Even in Faerie Land where more genii take an interest in the comings and goings of mortals, as represented by talking trees, needles, lakes, etc. within fairy tales, most genii don’t seem to pay too much attention to people’s comings and goings. Note: There are certainly many differences between the spirits that different people’s believed in. This book attempts to merge the different European spirits with ideas that will work within the structure of the d20 games. Spirits/genii are the soul of an object or person, which gives it vitality and magical energy. This makes them vital to anything, but also makes them separate from it. A person generally has three souls; one, which belongs to the deities; one, which is a part of the 9 Realms; and the genius, which is reborn into another person or enters a tree or rock when they die. Within Faerie Land, the genii are much closer to the surface, and even ordinary people can occasionally hear them whispering or trying to talk to them. Of course, they almost never simply speak to people. Those with the Experience in Faerie Land can ask for help navigating to places they already generally know the location to, and so are able to get around the mutable nature of Faerie Land. In other places, the trees might chat with each other loudly enough that a perception check (DC 12) will allow a character to hear what they are saying. These trees are more likely to chat about squirrels and other little animals than they are about the faeries or humans. Fairies were the first ones to dwell in any land before the humans came. Many of them had built vast civilizations and castles, while others had lived as the spirits of lakes and trees. When humans first entered a new land, they would often ask permission to move into it, sometimes offering bits of cloth or food to the fairies in return for the right to live in the new land. There are even stories about hunters rescuing nymphs and mountain kami, and so gaining the right for their posterity to live in the area. Not all first encounters were so peaceful. Sometimes humans would invade a new land, violently driving the faeries underground. There is a story from early Japan about a village, that was trying to drain a lake, being attacked by serpent-shaped kami. Eventually, a representative of the Emperor was dispatched to deal with these upstart kami. Having the authority of the Emperor and the Heavenly Kami, he ordered the lesser kami to be cut up and tossed into a fire. In Ireland, the Tuatha de Danann defeated the original inhabitants of Ireland, and then were defeated by humans, and driven underground. These defeated beings became the later fairies, forced to live on the margins of human society. There are two ways to look at these early encounters. The first is that the humans, who entered a new land, often did so because they were starving to death. As a result, the fairies who had refused them access to the land were sentencing them, and their children to death. At the time, there was an expectation that fairies should share the land with humans, one that was mandated by heavenly deities. There are tales from Korea, Mare-El, and the Komi-Perm about people being angry that they were starving because the spirits were too cruel to share. From this point of view, humanity’s takeover of a land was in keeping with the natural order of things. This is reinforced by the idea that the tutelary spirits, the deities of the land, would typically help humans build their cities, and protect them from magical dangers, such as faeries. From the fairies’ perspective, the humans slaughtered them, stole their land, and drove them into hiding. Neither of these stories is completely cut and dry, nor does either apply everywhere, as again, many humans moved in and formed a good relationship with the fairies of their land. Further, after thousands of years of living side-by-side, their feelings towards each other has evolved. Note: In your game, all the mortal races were likely involved in the war against the fairies, this would include elves, dwarfs, halflings, humans, and whatever other races you use. This is one reason why faeries don’t simply live with any mortals. From the pixies of Cornwall to the elphs of England and the sidhe of Ireland, the good folk are the largest societies of faeries. They are the “others” that people see dancing on the hills above their villages or hear below the ground. They live very much like humans, except in a land of magic and eternal youth, and of nearly constant dances. Theirs are the stories that inspired Peter Pan, for they too never quite seem to fully mature, even as they get older. Instead, they often live as if they are in an eternal slumber party without any parents. Even their kings and queens, who so often become the gods of mortals, have something childish in their nature. King Arthur, Lord of all the fairies and gods of Southern Britain, laughs with youthful abandon as he fights giants and powerful monsters. The sith of Scotland do summersaults as they run over the hills of heather, and a zwerg king throws a tantrum when a child refuses to give him their toy. This is only one side of the story, however. For as with everything fairy, good folk are nothing if not contradictory. Fairies are ancient, and even their young have wisdom about them. A homeless fairy child, forced to live among humans, impressed them with his maturity and wisdom. People wondered how he’d been able to learn so much without going to school. Of course, there’s a good chance he was far older than he appeared. That his school was among the other fairies, hiding on the margins of society. Like all faeries, the Good People are highly emotional. What’s more, their emotions don’t seem to fade due to boredom. Unlike humans, which eventually grow bored of Christmas or similar celebrations, the Good People truly can try to make every day Christmas without the joy of the day fading. The world doesn’t cooperate with them, however, which can be extremely frustrating. Although the histories of the Good People vary from one location to another in mythology, it sometimes begins with them driving some enemy out of their land. This enemy varies from one region to another. In the game, this enemy is the demons, devils, daemons, and giants, which inhabited the earth and Faerie World early on. Faeries are especially masterful at defeating such outsiders, and so were able to conquer land from them. The demons, devils, and daemons can never be defeated entirely, and they continued to linger at the edges of faerie society, always threatening to destroy it. Even so, the faeries went on to build civilizations so much like those of humans, with kings and queens, peasants and heroes, that it’s sometimes hard to tell whether a story is about an ancient fairy kingdom or a human one. Were it not for the fact that magic is such a common occurrence with their court, that they hardly bat an eye when someone turns into an animal. These are the stories of Camelot, and King Arthur, whom Green argues was a British Deity. The beauty of his court, like the beauty of all faerie courts, far exceeded anything mortals could ever hope to build. During this time there were Good People adventurers traveling the world, defeating the vestiges of evil that remained and battling the other nations of faerie. Then came the mortal races. Given the gift of fire, iron, salt, and other strange magic by the gods, the mortals were able to defeat the Good People in battle and drive them into Faerie Land. This happened both because mortals had magical powers that were uncanny to faeries, but also because the tutelary spirits and deities sided with the mortals who were better equipped to fight evil outsiders. Because the good folk are immortal, or nearly so, for the oldest of the Good People resentment over this isn’t something of their ancestors, it’s a part of who they are. The Good People dwell primarily in Fairyland now, the portals to their villages are in hills, the foundations of their old forts, rock formations, and similar places. The locations of these portals are all they really have left in the Mortal World, and so they zealously protect these spaces. Those who violate them are likely to suffer the fairies’ wrath. Good People have been known to kill not only the person who violated them, but their cattle, their farms, and their families. Most of the time, however, they merely content themselves with causing trouble for humans who violate their land. If one built a house over the fairies’ home, the fairies tended to haunt the house, to cause no end of trouble to the people inside. The fairies would frolic over the furniture and floor, and dance about the house. If one were able to sneak up and open the door to a room they were playing in, they might be seen scampering off into the rafters and other hiding places. At the same time, the Good People needed humans. They needed protection from other Kingdoms of Good People, dragons, and worse things that stalked the world. Giants were hunting the zwerg when the humans came, and so they now use human knights to protect themselves against these monsters. The Tylwyth Teg were being attacked by monsters (demons) they could not defeat. So, they called upon a human king to save them. The Good People both love and hate the mortal races and as a result, it makes it difficult to tell exactly how an individual good person will react to their human neighbors. Each court, and indeed, each individual, has a unique way of dealing with people. Perhaps more than anything else, they love hard work. This may be in part because they benefit from the labors of people. The more food and fabric there is, the cleaner a person’s house when they sneak in at night, and the better off they are. Thus, they punish lazy people, while rewarding hardworking people. As our neighbors, “The Good People” are also prone to theft. They steal axes, food, and occasionally people, leaving behind changelings, and non-functional fakes in their place. Typically, they do this using stealth. There are some, however, who have turned to outright banditry. Marie Kirstan was visiting a trow’s wife when she saw the trow rolling up something to resemble a cow. She threw her keys into this, and when she got home, she found her cow dead. She cut it open, and there were the keys. Whenever the trows take something, they always leave something which resembles the stolen item. 1-As their name implies, they are our neighbors, which means that just as with human neighbors, they can love and hate us at the same time. 2-The Good Neighbors need humans. They need human food to be healthy, and human strength to win their wars with the other faeries, as well as the demons, devils, and daemons, which are the real threat. 3-Fairies are afraid of humans. We are unpredictable, and what’s more, we betrayed them and drove them underground. 4-Some of the spirits of dead humans become members of these fairy courts, and other humans are taken to live with them. The fairies often marry these humans and spirits and have children with them, who sometimes return to the human world. Because of this, these fairies are often related to the humans of the land they live in or have a friend who is related. Like all fairies, the Good Neighbors spend most of their time hiding from humanity. They are, however, still likely to go and ask for a favor from the humans, such as to borrow the use of a stove or a teakettle or ask for some milk. They are also likely to care about the successful harvest of the crops in the human land closest to theirs. This often leads them to war with other fairy clans, as they will often steal the fertility from the fields of a foreign people to put into the fields of the people of their own land. The sidhe are especially known for doing this, while the pixies tend to help human farmers by aiding them in bringing in their harvest and planting their crops directly. Regardless of their method, each tribe of Good People depends so much on human food that they all try to ensure the humans are successful in harvesting it. A man wished that his field could be shorn before the cold ruined his crop, even if it cost him his best ox. The next morning the field was shorn by the trow, and his ox was dead. Wars between humans and the Good People have become extremely rare because the Good People have already lost so many of them. When the Good People are upset with their human neighbors, they are more likely to spread enough just illness, blight, and bad luck to hurt the humans, without sparking a mass war. Typically, the biggest danger humans face from these fairies is from banditry. Because many of these fairies are poor, or angry at humanity, they will turn to banditry and theft. Some of these bandits become especially vicious. There are elves and sidhe who become vampires, drinking human blood and crushing the life out of sleeping people. There are stories of Fairy Kings eating human brains, and Elf Knights seducing women and cutting off their heads like serial killers. Faeries have lost every war they’ve fought against mortals, yet it’s nearly impossible to maintain peace with such fickle creatures. Because of this, the faeries have a lot of laws about how many mortals are allowed to learn the faeries’ secrets. Thus, only about 1 in every 300-500 mortals can join the Faerie Courts. The Good People have many stories about the dangers of encountering humans. In Brittany, a farmer hits a fairy over the head, killing them. In another place, a man might kidnap a fairy to force her to be his wife, while in Cornwall a fairy child is kidnapped. Moreover, humans are prone to stealing things from the fairies, whether it be capturing one to force them to give up their money, grabbing a fairy cow, or taking some more magical item. A woman saw some trow nursing another trow sick with jaundice. She fixed her eyes on the cap they were getting water from and called Gude be aboot ye.” The trow fled but could not take the cap with them, so they used it from then on to cure jaundice. The Good People view themselves as the true owners of the land. As a result, they not only enter people’s homes at night, they expect that everyone will be in bed, for the night is their time. Those who aren’t in bed are cursed. They also expect that water and possibly food will have been set out for them. Those that haven’t done this will be cursed. They expect that the home will have been cleaned for their arrival. If it hasn’t, those who failed to clean will again be cursed. On the other hand, those who have may very well be blessed. Fairies need humans, and will often hire people to start their fires, watch their cattle, take care of their children, and the like. Many of these people come away wealthy, or at least better off than they would have been otherwise. However, some are carried away against their will to work for the fairies. People often encountered humans who were working as forced labor for the faeries. Humans who die at liminal times are likely to become faeries, most often a member of one of the nations of Good People. Within the game, 10-30% of Good People could be the ancestral spirits of mortals. Within the game, this could be an interesting way to turn your characters into faeries. An old man kept a green hillock, near his house on which he frequently reclined in summer, very clean, sweeping away any filth or cow or horse droppings he might find on it. One evening, as he sat on the hillock, a little man, a stranger to him, came and thanked him for his care of the hillock, and added, that if at any time the village cattle should leave their enclosure during the night, he and his friends would show their gratitude by keeping them from the old man's crops. The village in these days was in common, ridge about, and the Fairy promise, being tested, was found good. The fairies are extremely grateful for any show of human kindness. It’s clear that not all fairies are of equal standing, that like humans they have their peasants and their nobles, they are desperately poor and they are wealthy. Because of this, there are many fairies who need alms. “A strong-minded headstrong woman in Kianish, Tiree, had a cow, the milk of which strangely failed. Suspecting that the cow was being milked by someone during the night, she sat up and watched. She saw a woman dressed in green coming noiselessly and milking the cow. She came behind and caught her. In explanation the Fairy woman said she had a child lying in the smallpox, and as a favor asked to be allowed to milk the cow for one month, till the child got better. This was allowed, and when the month was out, the cow's milk became as plentiful as ever. A boy was sleeping near the hearth when some trow came down the chimney. The two demand that clean water be set for them and the house be cleaned in case they visit. None of this was done. So the angry trow woke the boy. One trow woman held a beautiful baby with three eyes. They washed their baby with the drinking water, and hung the baby’s clothes to try on their feet in front of the fire. The boy knew that if he kept his eyes fixed on the trow they would not be able to leave. He listened to them talk and worry and fret, hoping they would reveal some useful. Finally the furious trow heated the fire place tongs and went towards the boy, the tongs pointed at his eyes. The boy closed his eyes and the trows fled. On 5th August, 1598, one of the bloodiest battles in the annals of clan feuds was fought at the head of Loch Gruinard, in Islay, between Sir Lachlan Mor M'Lean, of Dowart, and Sir James Macdonald, of Islay, for possession of lands forfeited by the latter's uncle, of which the former had received a grant. Of the M'Leans, Sir Lachlan and 80 of his near kinsmen and 200 clansmen were killed; and of the Macdonalds, 30 were killed, and 60 wounded. According to tradition, a trifling looking little man came to Sir Lachlan, and offered his services for the battle. The chief, who was himself of giant frame and strength, answered contemptuously, he did not care which side the little man might be on. The Elf then offered himself to Macdonald, who said he would be glad of the assistance of a hundred like him. All day Sir Lachlan, who was clothed from head to foot in armour of steel, was followed by the little man, and on his once lifting the visor of his helmet an arrow struck him in the forehead at the division of the hair, and came out at the back of his head. It proved to be one of those arrows known as Elf-bolts. Macdonald was sorry for the death of his rival, and after the battle made enquiry as to who had killed him. "It was I" said the little man, "who killed your enemy; and unless I had done so he would have killed you." "What is your name?" asked Macdonald. "I am called" he said, "Du-slth" (i.e. Black Elf), "and you were better to have me with you than against you." Many of the Good People crave adventure, and so will strike out with a group of heroes to win fame, fortune, and do good (or wicked) deeds. Faeries would even team up in lore with mortal humans (typically cunning folk/shamans) to adventure in both the human and faerie worlds. Any given person, faerie or otherwise, who was raised by the faeries would be able to use a few faerie doors to enter and leave Faerie Land in the same way that anyone raised in a city would know a few restaurants and similar things. This will allow your characters to have adventures in both Faerie Land and the Mortal Realm. Being a fairy won’t give you an automatically positive relationship with the other fairies you might encounter. Pixies are just as likely to play pranks on fairies they don’t know as they are on humans. They are also just as likely to hide from strange fairies who can be potential enemies. The faeries weaknesses can make playing them tricky, as their weaknesses make them less capable in straight martial combat. This isn’t to say that faeries don’t make good fighters. Rather, it’s to say that faeries would generally prefer to take rolls that would allow them to fight from a distance or from the shadows. Wizard – Lore Mastery – The good folk frequently specialize in Lore Mastery (from Unearth Arcana), because of the ability to learn how to manipulate events from a mile away. The good folk are well known for influencing the outcome of human battles by casting spells like hold person on one side of the battle, from a mile away. Other popular spells include Circle of Death, Cloud Kill, Silent Image and Sleet Storm. In this way the course of some of the most important battles in history were controlled by faeries who never got within a mile of the combatants. With their ability to use arcane buffing spells and perform healing, cunning are masters of manipulating the world around them through magic, without actually having to be seen. While using the wild shape ability a faerie isn’t susceptible to the mortals’ natural evil eye. Making this a popular choice for faeries seeking to travel the world. Many faeries view it as their task to act as deities – healing the sick and the like. These faeries often choose to become clerics. Such clerics often do serve a greater power, however, rather than gaining their powers from their deity, they gain divine powers from their own internal magic. A faeries abilities are especially well suited to a fighting from the shadows. Their ability to manipulate fate can make the especially dangerous rogues. Faeries have been fighting demons, devils, and daemons since before mortals crawled out of the mud. While I’ve worked to balance the Good People for play, it’s difficult to balance such things. Faeries by their nature are completely different from mortals, or anything else in the game. Faeries are meant to be alien, strange, and most of all – magical. Mythology gives the faeries debilitating weaknesses, which I’ve toned down, but this weakness can still make it difficult to play them effectively, especially in areas where people are prepared to deal with them. Which people often were. Everyone in Newfoundland carried a piece of crossed bread (bread with a cross on it) to keep the faeries at bay; everyone in Ireland knew that they could stop a faerie from using magic if they stared at them. Faeries also have many strengths that can make them more powerful than their mortal companions.